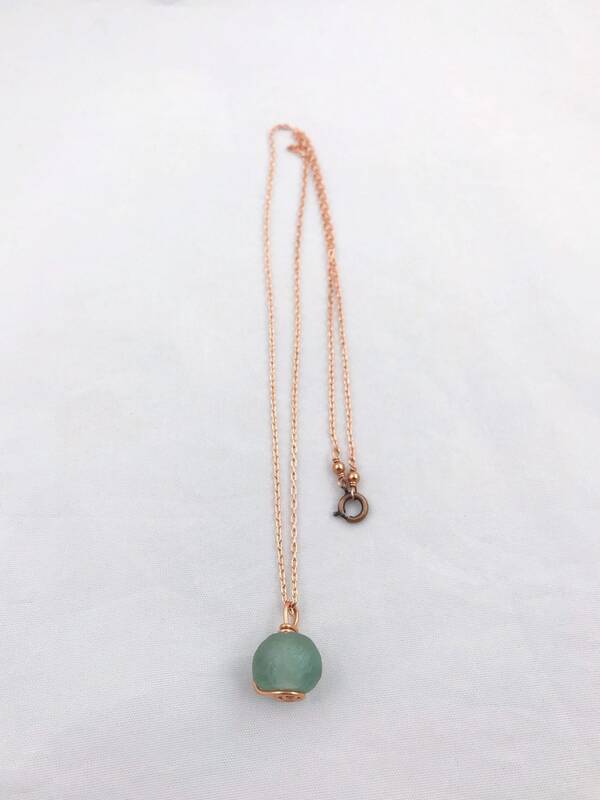 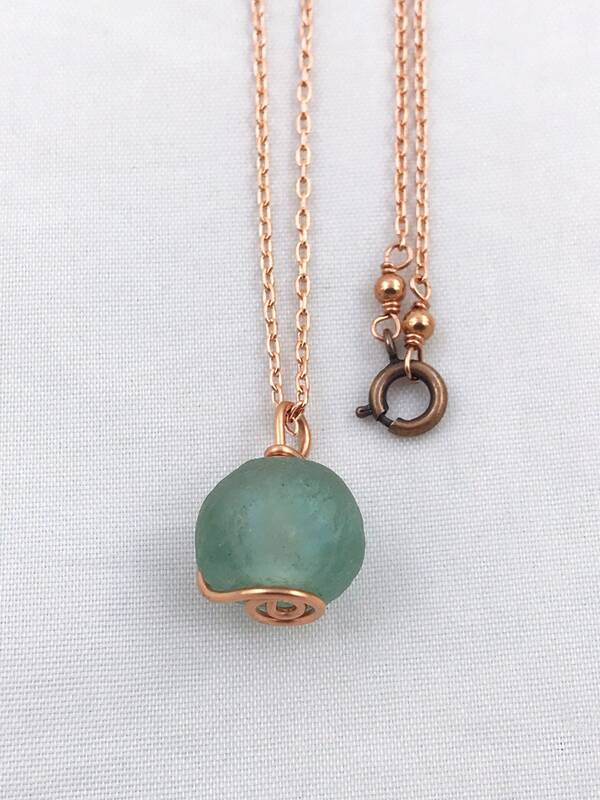 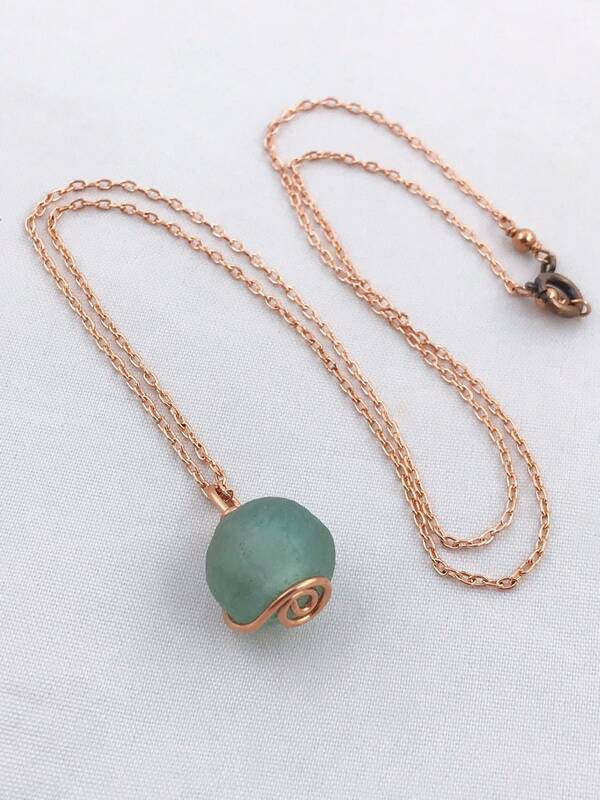 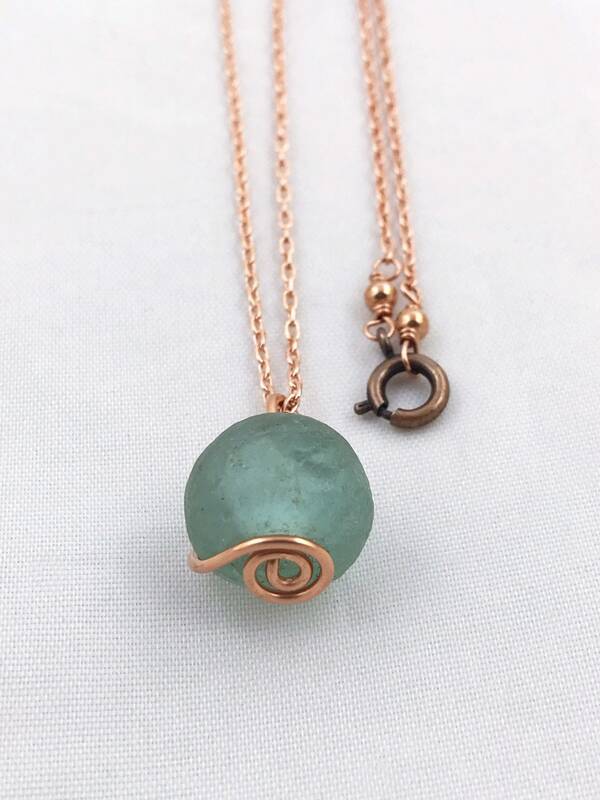 A luminous aqua sea green trade glass ball, mounted in a hand formed spiral setting of raw solid copper. 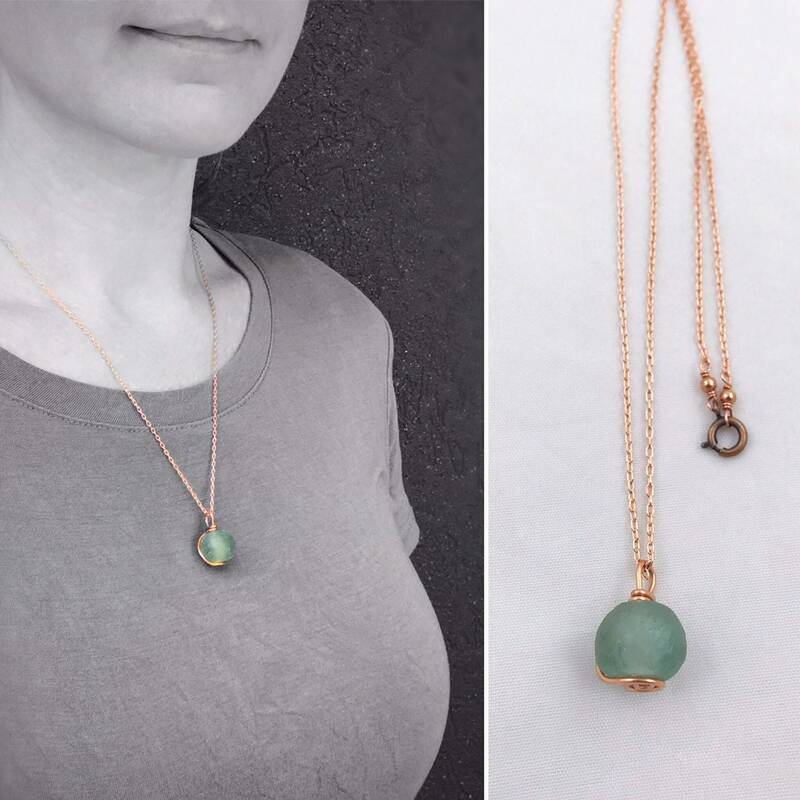 Dangling from a raw solid copper chain. 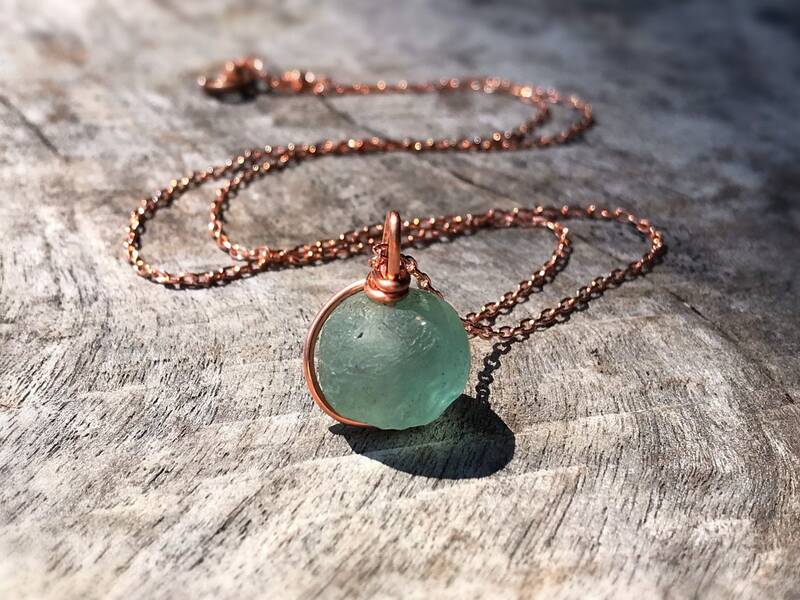 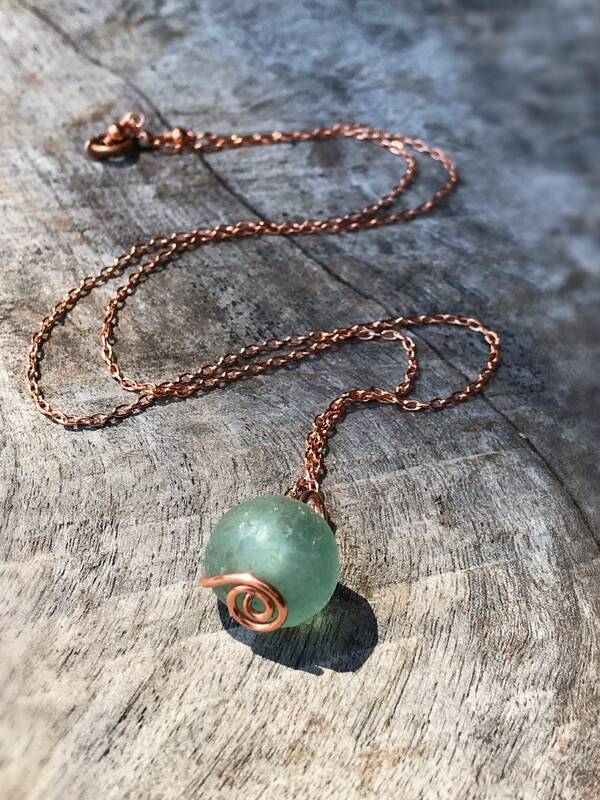 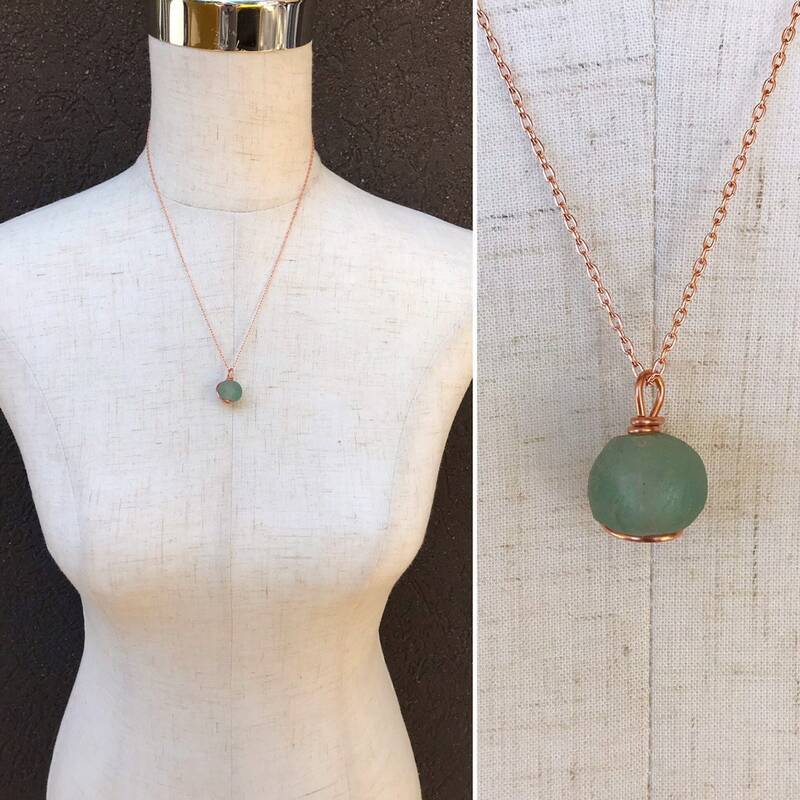 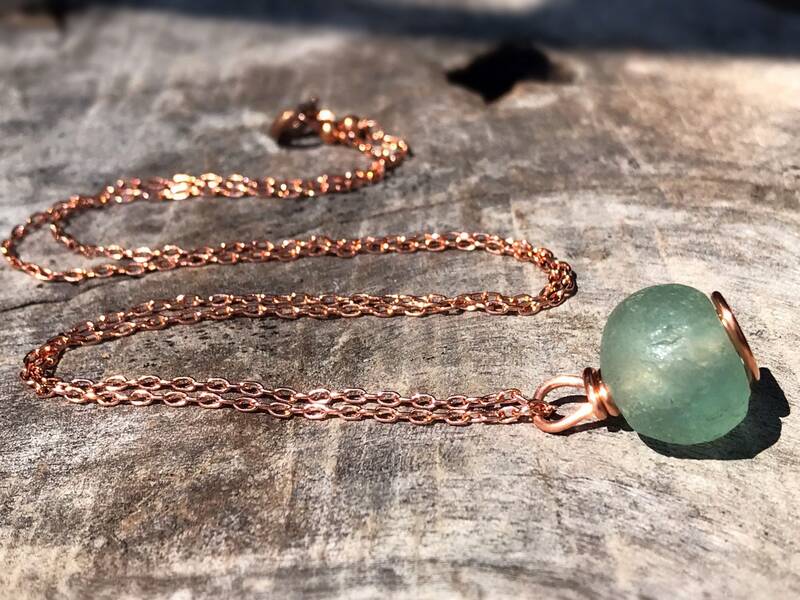 -Trade glass bead is mounted in a solid copper setting starting with a spiral design at the bottom which runs through the center of the bead and also wraps fluidly around the outside of the glass, finishing at the loop up top, holding it securely in place. 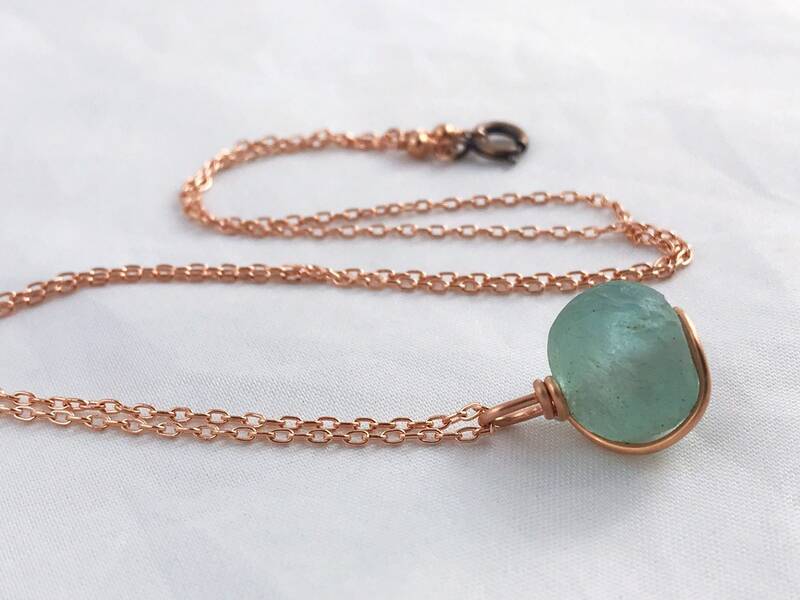 -Chain is a solid raw copper 1.4mm cable chain with antiqued copper plated brass spring ring clasp.